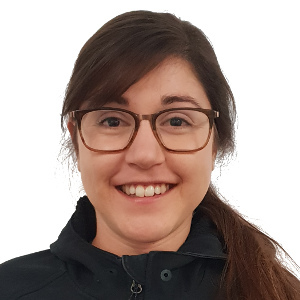 Jenna O’Neill is our clinics exercise physiologist who’s skilled in exercise design and implementation for a broad range of musculoskeletal, neuromuscular and metabolic conditions. Jenna attained her Bachelor of Science in Exercise Physiology in 2017 from Murdoch University in Western Australia. Jenna attained many high distinctions and also attained two awards for best academic achievement throughout her studies. Jenna is committed and passionate about improving people’s quality of life and health conditions through physical exercise. She believes that a well-structured exercise program can achieve almost anything and it has no side effects other than euphoria. Jenna is a Type 1 diabetic holding a special interest in rehabilitative exercise for Prediabetes and Type Two Diabetes Mellitus. Jenna is an avid lover of nature, art, fitness, cooking and globetrotting. She is also committed to career long self-development and continued learning.. At Central City Physiotherapy we welcome every member of the family and from every walk of life. Make an appointment to see how we can help you or someone you know.